Encourage kids to start saving with their own personalised piggy banks. 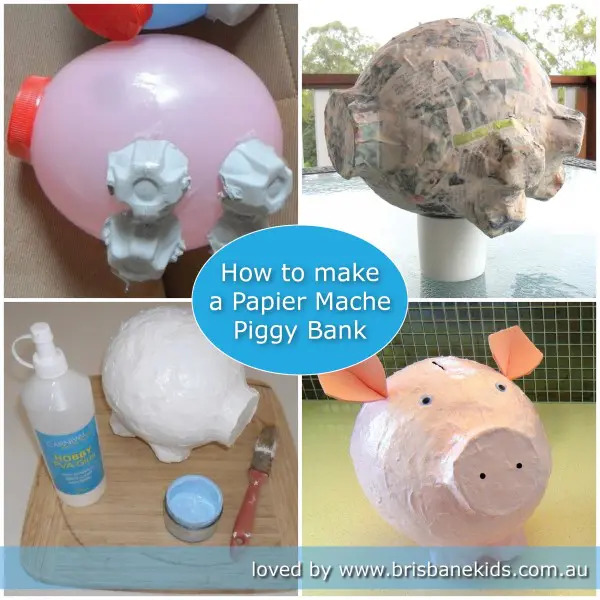 These papier mâché piggies are fun and easy to make from everyday items around the house. 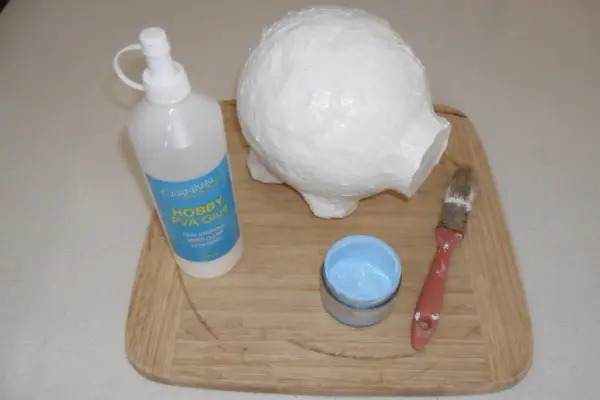 Using papier mâché is a great sensory activity for children, but if you’re worried about gluey globs getting everywhere then do this part outside to take the stress out of the mess! 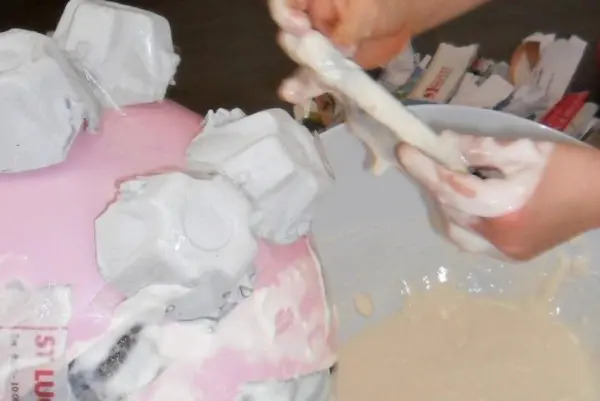 In a large bowl, mix plain flour and water to form a gloopy paste — about one cup of each should be enough for one piggy. Then add salt to the mixture (a tablespoon per cup of flour) to preserve the ingredients and prevent mould. 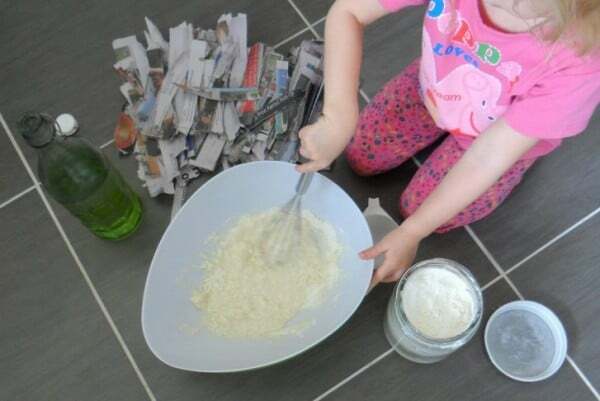 Tear the newspaper into strips. Then dip them in the paste and stick all over the balloon, legs and nose. Continue till you have done about two to three layers all over. HINT: Try to avoid using straight edges on the top layer as these do not blend as easily. Leave your piggy to dry thoroughly. NOTE: Be careful not to expose it to dramatic changes in temperature at this stage as it may (‘did’ <sob!>) cause the balloon to expand or shrink and the newspaper to tear. 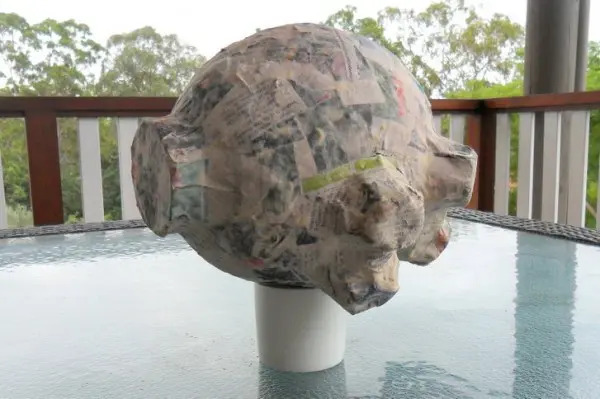 Also, possibly (‘definitely would have been’) worth knowing is that papier mâché is surprisingly an irresistible delicacy to both possums and dogs. We’re not sure about other animals, but probably best to avoid ones with mouths. Once the papier mâché is thoroughly dry, cut a slot in the top for the coins. 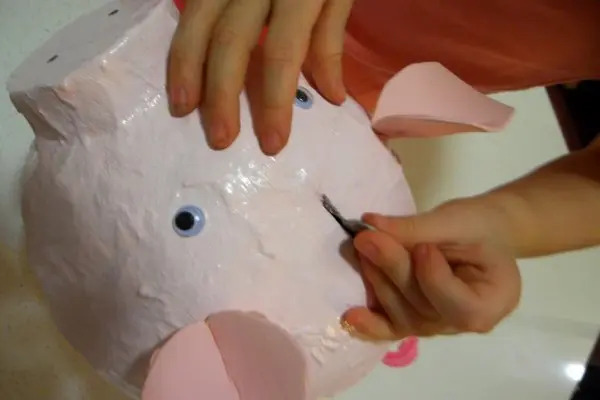 Then paint your piggy. An undercoat of white helps to hide the print, then cover with any colour or pattern you like. 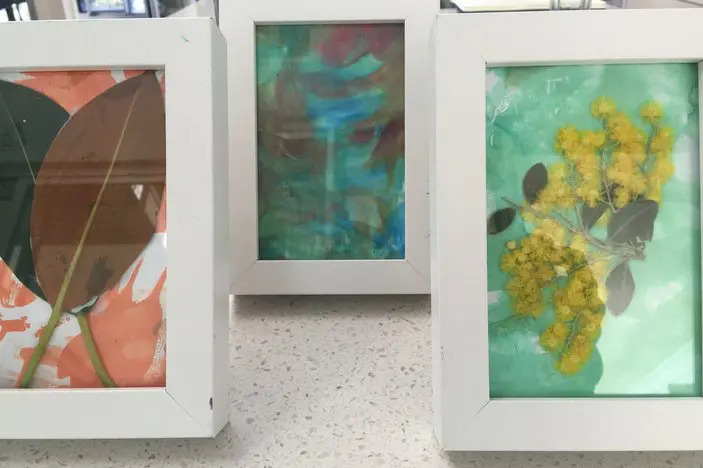 You can mix equal parts paint and PVA glue to create a shinier and more durable finish. Make your piggy ears. 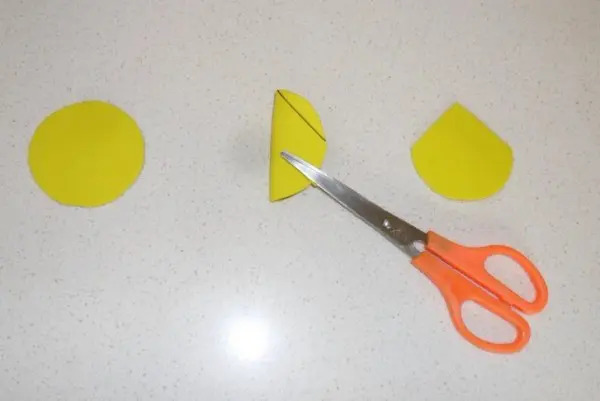 Cut two circles out of plain, coloured or patterned foam, felt or material. We used foam painted to match our piggies, but contrasting colours or shades work well, and beautifully printed fabric would look awesome! Fold the circles in half and cut a line from about halfway up to the centre top. Then pinch and staple or glue the bottom parts to create little creases. 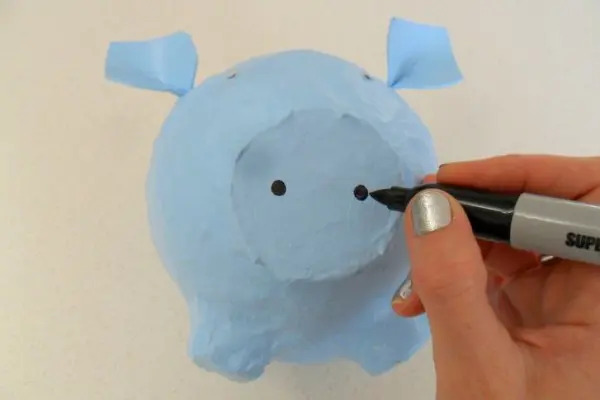 Glue the ears onto your piggy and draw or glue on the eyes, nostrils and tail. Start saving for something special! 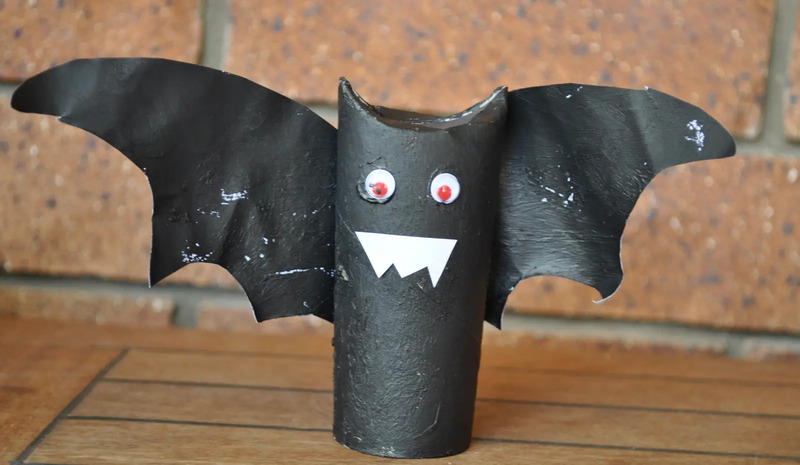 Take a look at our other Craft and Fun Ideas, like recycled Egg Carton Flowers and Exploding Dino Eggs. 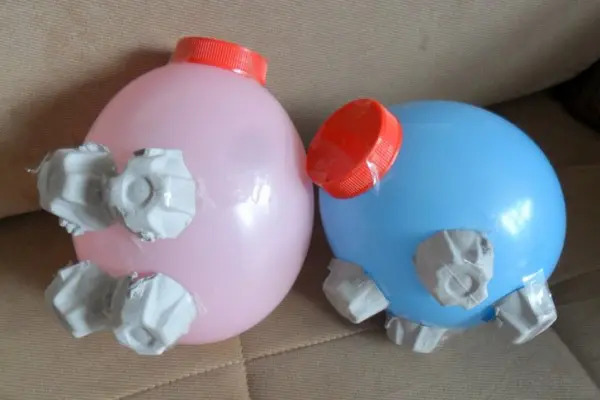 How do you get the money out of the piggy bank? You would have to cut a hole on the bottom; the size of a standard bank plug and use that to close the hole.